Taoism is an ancient Chinese philosophy that emphasizes living in harmony with the universe. It is a tradition that has become widely popular in Europe and North America over the past fifty years�largely through its core text, the Tao Te Ching. 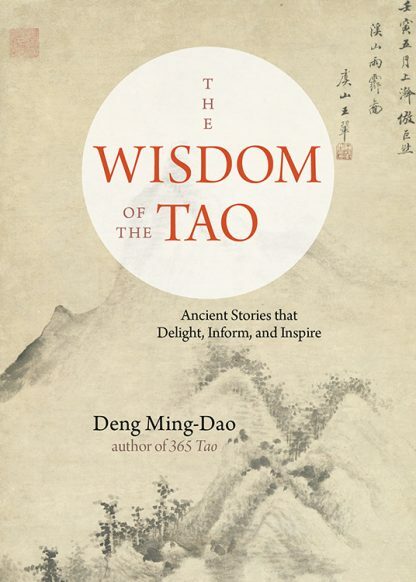 The Wisdom of the Tao is filled with over 140 ancient stories express great truth by fusing anecdotes with philosophy. The stories are frequently humorous, ribald, irreverent, or sarcastic�but they always speak to great and universal truths. The wisdom here fills a universal need. We need stories. They help us make sense of who we are and how we got here. They keep us sane as we try to absorb our experiences, our aging, and our emotions. Stories help us visualize the future by taking the messages of yesterday and helping us get tomorrow right. Deng Ming-Dao (Deng is his family name; Ming-Dao is his given name) is an artist, philosopher, teacher, martial artist, and the author of 8 books that have been translated into 15 languages. He is also an award-winning graphic designer and fine artist whose work can be found in several collections, including those of the Brooklyn Museum.